With the clocks moving forward and the first day of spring already behind us, it’s not surprising that everyone is in the mood for a spring clean… or are we? Valentines. The day of the year when we show our love and affection for our nearest and dearest. Or has it become a bit of a farce? Dry January… that time of year when we decide to give up the gin, bin the beer and stop the spirits. If you decided to give it a go, well done, you are now over half way through! Mulled wine is one of the favourite Christmas drinks during the festive season, so we thought we’d share our fail safe recipe for you to try this weekend. We all know it, gin is in. Whether you’ve been drinking the stuff for years or you’re new to the party, one thing is certain; there is a gin cocktail out there for everyone. As self-confessed gin lovers here at Safeclean HQ, we’ve all put in our pennies worth to help you create that perfect drink. So whether you’re a bit of a connoisseur or a ‘whatever-is-on-offer’ kind of gin lover, we’re here to help. The National Carpet Cleaners Association (NCCA) is the only trade association dedicated to carpet cleaning that is recognised across the nation. We are proud members the NCCA and acknowledged as a trusted company in the industry. In celebration of National Tea Day, we’re looking at why we think the British cup of tea is the greatest of them all. We all know pets can create a mess in our homes and often be the cause of damage to our furniture. However, this month is about celebrating our lives with our pets and appreciating how our furry friends are not only companions but contribute to the well being of many people around the world. Happy Easter! Spring is here and the Easter bunny is ready to go. Why not try a few fun themed crafts this holiday season with your children over the bank holiday weekend? It’s our favourite time of year at the Safeclean Head Office as spring has sprung! Tomorrow is St Patrick’s Day, the celebration of the patron saint of Ireland. Today it is International Women’s Day, a global day that celebrates awesome women all around the world for their social, economic, cultural and political achievements. In the franchising world, being your own boss doesn’t have to be a man’s job. Dydd Gwyl Dewi Hapus! (That’s Happy St David’s Day to those that don’t speak Welsh!). As the first patron saint celebration of the year, we thought it would be nice to give a nod to this special day on our blog. It’s time to get your frying pans out, it’s Pancake Day! The question is - do you know how to make the perfect pancake? Two New Franchisees Join the Team! We are always excited when our network grows as it means we’ve helped another person become a proud business owner and we can provide our fantastic services to more of the UK! Last autumn we welcome two new franchisees to the Safeclean network, both of whom are very eager to get going! Paul Charlton (Safeclean Newcastle) and James Chiverton (Safeclean South Wales) are the 5th and 6th new Safeclean franchise owners in 2017. 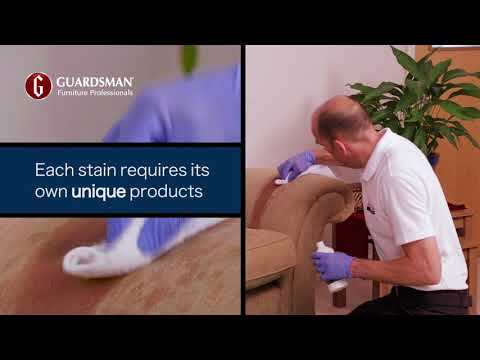 We recently spoke to our new franchisees about their background and why they chose Safeclean. Here at Safeclean we are delighted to reveal our brand new website. We know that we are the best in the business in terms of our cleaning services and now we feel we have a digital platform to match.